We have been specializing in treatment alternatives for cancer for 10 healing years now! A diagnosis no one wants to hear, “you have cancer”. According to the National Cancer Institute, about 1.5 million new cases of cancer were diagnosed in the U.S. last year alone. Cancer is the second most common cause of death for Americans, exceeded only by heart disease. A hundred years ago, one out of two hundred people would get cancer in the United States. Today, one out of two men, and one out of three women will get cancer during their lifetime. This is an epidemic. And cancer, just like health, is not something you catch. It is something that you earn by the way you live your life. Unfortunately, today, the world is so toxic, we’re often unaware of what is affecting our health. According to Dr. Thomas Lodi, “cancer is not the enemy, but it is the body’s attempt to protect itself”. A fundamental way that we heal is through a process known as inflammation. Acute inflammation, we can heal it. We bang our finger, we heal it. Chronic inflammation is when the process is extended for a long period of time and things can go awry and that’s what cancer ultimately is. In fact, if you take a sample of the chemicals being produced in the tumor and the chemicals being produced in a healing wound, you’ll find that they’re pretty much the same. They stimulate angiogenesis, which is new blood vessel growth, and they stimulate tissue proliferation. That’s really nice in a healing wound, but it’s not so nice in a tumor. There are many different theories about cancer and how it develops in the body. Dr. Lodi has found that it is ultimately due to an overwhelmed immune system. The immune system can be thought of as having two broad functions, the department of defense and the department of maintenance. When maintenance requirements are overwhelming, there are very little resources left over for defense and that’s ultimately what happens to all of us. The same goes with cancer. Cancer is one of the end results of chronic inflammation. The immune system will protect us from that. Make no mistake, everybody makes cancer. We’re all walking around with cancer cells. Whether or not we develop a tumor depends on the function of our immune system. Our health care system defines health as the absence of disease. Dr. Lodi believes health is our birthright. Health is not the absence of anything. It’s a presence. It’s the presence of the ability to generate, rejuvenate, and procreate. To say that health is the absence of disease is like saying that light is the absence of darkness. How much darkness would one take out of the room before they would find the light? It’s an absurd thought. The opposite is the truth. Disease is the absence of health. Darkness is the absence of light. 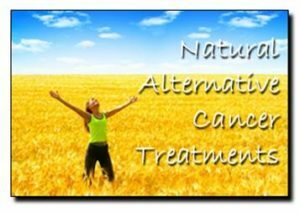 At An Oasis Of Healing we provide patients with a truly comprehensive approach to cancer treatment, which incorporates every aspect of each discipline, including, but not limited to, conventional and alternative medicine that has been proven effective. Our center’s comprehensive cancer care program includes three pillars: teach patients how to stop producing cancer, target and eliminate cancer, and rebalance and enhance the immune system. If just eliminating cancer was the solution, then the cure rate for cancer would be much higher. Dr. Lodi believes that a truly comprehensive cancer treatment program must address how to keep the cancer from coming back. At An Oasis of Healing, there are two therapies specifically used to help stop the production of cancer cells.In order to stop making cancer, one must understand the biochemistry of cancer. Cancer requires 19 times more glucose than the average cell. Therefore, by giving a little bit of insulin, we can open the door and allow that 10% dose of chemotherapy to go straight in. It’s called insulin potentiation therapy or IPT. Secondly, using high doses of the ascorbate intravenously, or vitamin C, which have been shown in medical studies to kill the cancer cells and produce nutrition for the healthy cells. Once cancer is survived, then the real trick is to keep it gone. Having an optimally functioning immune system helps dramatically in this area. In order to stimulate the immune system and enhance it, one must do all the steps talked about in “Stop Making Cancer” in addition to oxidative therapy such as ozone, which stimulates cytokine production interleukin production, as well as all the medicinal mushrooms such as shiitake, maitake, coriolus, and agaricus. 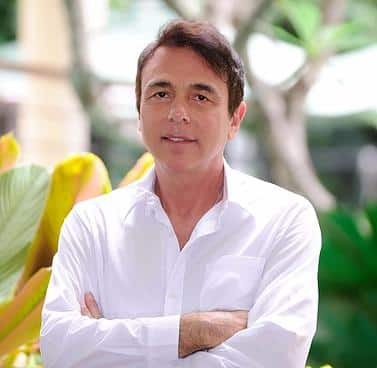 Dr. Lodi wants people to know that while great strides have been made in the treatment of cancer, the main health goal we should have living in harmony with the laws of nature.